In his 25-year stewardship of London’s Open Air Theatre, David Conville transformed the venue into an essential fixture in the capital’s theatre calendar with star-name casting in accessible stagings of Shakespeare that drew new and sizeable audiences to Regent’s Park despite the vagaries of British summer weather. An actor, writer and producer, Conville’s standing in the industry was confirmed by his election as president of the Society of West End Theatre Managers in 1975 as it transitioned to the Society of West End Theatre (now the Society of London Theatre) and was instrumental in establishing the SWET (now Olivier) awards. Born in Srinagar, Kashmir, where his father was on military service and educated in England from the age of eight, Conville trained at RADA before serving his apprenticeship in regional reps and appearing with the Royal Shakespeare Company in Peter Brook’s 1957 revival of Titus Andronicus with Laurence Olivier and Vivien Leigh. The following year he made his West End debut in John Chapman’s Dry Rot at the Whitehall Theatre. 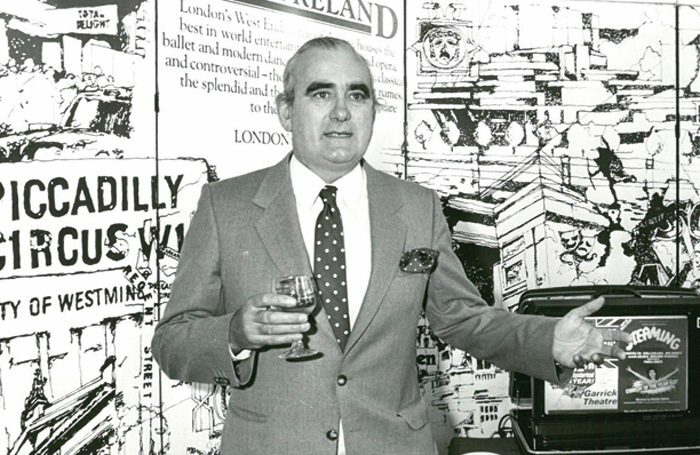 In 1960 he formed his own production company with Charles Ross (with whom he later opened a restaurant on south-west London’s King’s Road) to present his own adaptation of Toad of Toad Hall at the Westminster Theatre. The piece proved a lucrative success, returning to West End theatres on a virtually annual basis over the next 20 years and more usually with Conville directing. At the Saville Theatre in 1961 he produced the Millicent Martin and Joan Sims-starring revue The Lord Chamberlain Regrets…! before taking control of the Open Air Theatre in 1962. He went on to produce 75 productions in the park, many of which he also directed. Conville’s ambitions ventured beyond Regent’s Park, forming the New Shakespeare Company at the venue in 1963 and touring widely with it under the auspices of the British Council, including an historic tour of the Gulf States in 1985 with A Midsummer Night’s Dream. His other West End producing credits included Marguerite Duras’ Suzanna Alder with Eileen Atkins (Aldwych Theatre, 1973), a revival of Julian Slade and Dorothy Reynold’s Salad Days (Duke of York’s Theatre, 1976). A long association with Chichester Festival Theatre saw him directing Treasure Island (1973), an adaptation of Wind in the Willows, co-written with David Gooderson and featuring music by Carl Davis (1989), and his own play for children (also co-written with Gooderson), Kids of Sherwood (1996). An earlier play, Obituaries, first seen at the King’s Head Theatre in 1988 was subsequently filmed for the BBC’s The Play on One strand in 1990, and his final play, the post-war Punjab-set drama Zindabad, was seen at the Guildford Theatre in 2016. As an actor, his television appearances included Jack Pulman’s A Little Big Business (1964), episodes of Coronation Street and Yes Prime Minister and a six-year stint alongside Nicola McAuliffe and Duncan Preston in the medical comedy Surgical Spirit from 1989. He published a book, The Park – The Story of the Open Air Theatre, in 2007. David Henry Conville was born on June 4, 1929 and died on November 24, aged 89. Twice married (his second wife was the actor Philippa Gail, who died in 1999), he is survived by two children.